Hong Kong has amazing skyscrapers and vibrant street markets. It’s now time to go beyond the mainland and explore the neighbouring islands instead. Hong Kong – a beautiful Asian city with mighty skyscrapers and amazing dim sum. From bustling street markets to the endless list of delectable food, it is no wonder that this charming country continues to entice people from all over the world. Yet even if you consider yourself a travel veteran of this country, you might be missing out on the extent of Hong Kong’s actual beauty. Here’s a major fun fact about Hong Kong: it is made up of a whopping 263 islands! It’s time to maximise the quality of your experience in Hong Kong by taking day trips from the mainland. Here are 10 islands to visit, each unique and appealing in their own way! Probably the most popular island second to Hong Kong mainland, Lantau Island houses a few tourist attractions that you must visit. This is the place where you can take the Ngong Ping 360 cable car to catch the mega 112-feet tall Big Buddha. Not only will you be greeted with nice scenery, this majestic sight is one you can’t find anywhere else! 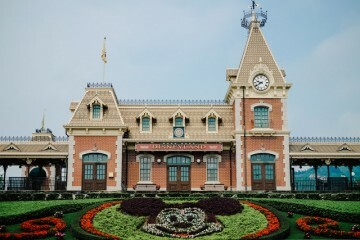 Of course, Lantau Island is also where Hong Kong Disneyland resides, the go-to for most tourists. Yet more than these two main attractions, Lantau Island also offers other fun things to do, including hiking multiple trails and outlet shopping at Tung Chung. Drop by the little town of Discovery Bay where many expatriates live. 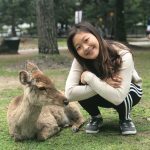 You’ll be greeted with fresh, clean air (since cars are not allowed in the area), a laid-back atmosphere and many international restaurants and bars for those who prefer a change of cuisine. Lamma Island is only a twenty-minute ferry ride from Hong Kong mainland and is perfect for families who wish to take a relaxing day trip out of the city. Known for its free-spirited and hippie vibe, Lamma Island is home to many indie boutiques and restaurants worth one’s visit. Rent a bicycle to traverse the island and explore the hidden nook and crannies! This is the place for you to reunite and get in touch with nature, while you soak in breathtaking sights. 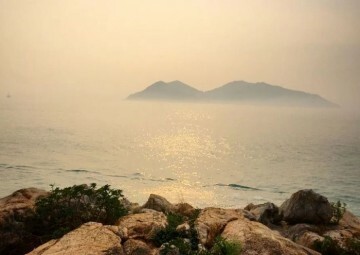 Lamma Island also has a beautiful beach that some label as the most picturesque beach in Hong Kong. Lo So Shing Beach is hidden in a small cove and surrounded by lush greenery. Due to its lack of visitors, you can enjoy some peace and quiet and appreciate nature, while gazing at the glittering blue waters. Just a short ferry ride from the city, Cheung Chau is a busy island packed with attractions that will occupy you for the entire day. For seafood lovers, this fishing village is perfect for you to enjoy Hong Kong’s seafood at its best. A popular restaurant to visit would be So Bor Kee; do try their Sichuan style shrimps and oyster omelettes. Although Cheung Chau is small, there are countless things to do here that will leave you engaged and hoping for more. This includes taking short scenic hikes, visiting the Reclining Rock and of course, exploring the ancient pirate’s cave! Note: If you plan to visit this island in May, be sure not to miss their exciting Cheung Chau Bun Festival! This Taoist celebration brings the entire village together, with locals parading the streets in costumes and offering tens of thousands of buns to their deity. It’ll definitely be a memorable and interesting experience for you. For those who love water sports and beaches, Sharp Island is the perfect destination! 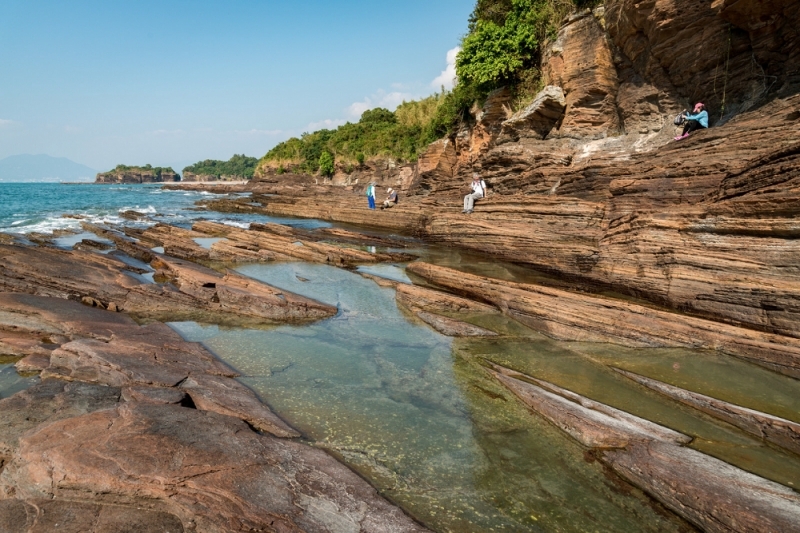 Situated close to Sai Kung, Sharp Island is popular for its tombolo– a natural landform that connects the island to an inshore islet called Kiu Tau. Sharp Island also has two beaches – Hap Mun Bay Beach and Kiu Tsui Beach, if you desire a nice splash in the waters of Hong Kong. Hap Mun Bay beach is crescent-shaped and boasts a great view for visitors. Kiu Tsui Beach, on the other hand, offers the perfect opportunity to scuba-dive and kayak. Now, who’s ready for some summer loving in this island of Hong Kong? What do you think about scaling natural rock walls in Hong Kong? 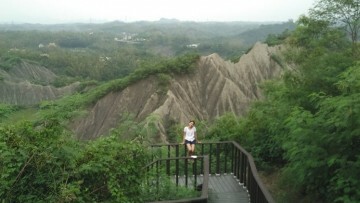 Tung Lung Chau is a great place for sports enthusiasts or even non-sportsmen who desire some form of challenge and fun. This island comprises of the Technical Wall and the Sea Gully Wall, which facilitates rock climbing and has become a favourite spot for professionals from around the world. Tung Lung Chau truly encapsulates what rough and rugged truly means, with its wild foliage and unmanicured nature. If climbing is not for you, why not try your hand at hiking instead? This island offers amazing hiking paths including the Ancient Rock Carving, which guarantees you the magnificent sight of greenery and the island’s deep blue sea. This quaint island, measuring less than a square kilometre, is for those who would like to experience Hong Kong in the 1950s. 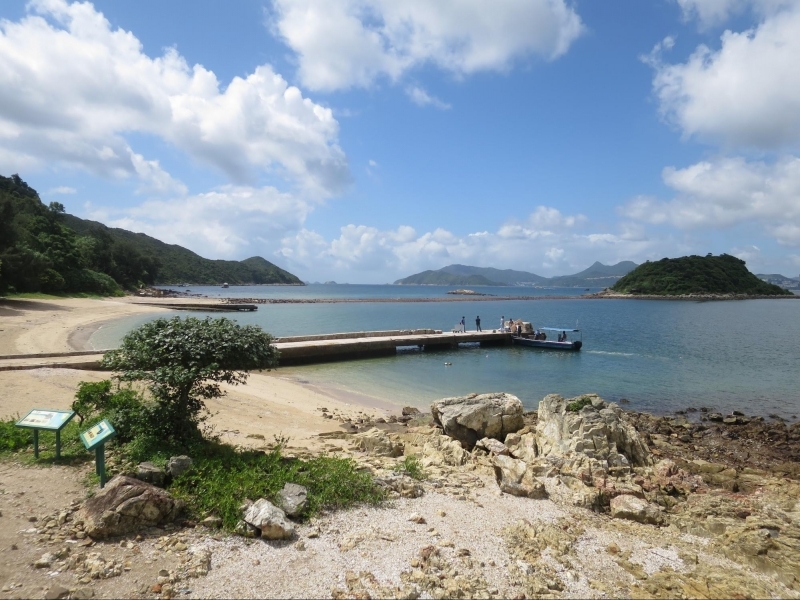 Peng Chau is well-known for its unspoilt wilderness and relaxing lifestyle. Enjoy panoramic views by hiking up Finger Hill or perhaps soak in the authenticity of this tiny town by embarking on their heritage trail. This island also comprises of low-rise and aged buildings, promising a landscape that is worth seeing and documenting! Peng Chau is also the place where you can enjoy delicious seafood. Simply go to the market and pick the freshest catches of the day before heading to a restaurant to have them cooked. Although restaurants do offer dishes without you needing to visit the market, this is a local practice and assures you a satisfying meal. Yearning for a dose of spookiness and adventure? This island must be at the top of your list! Yim Tin Tsai sits in Port Shelter and was once a busy village producing salt as the people’s main source of income. However as the salt industry declined, inhabitants moved to other parts of Hong Kong and left the island desolate. 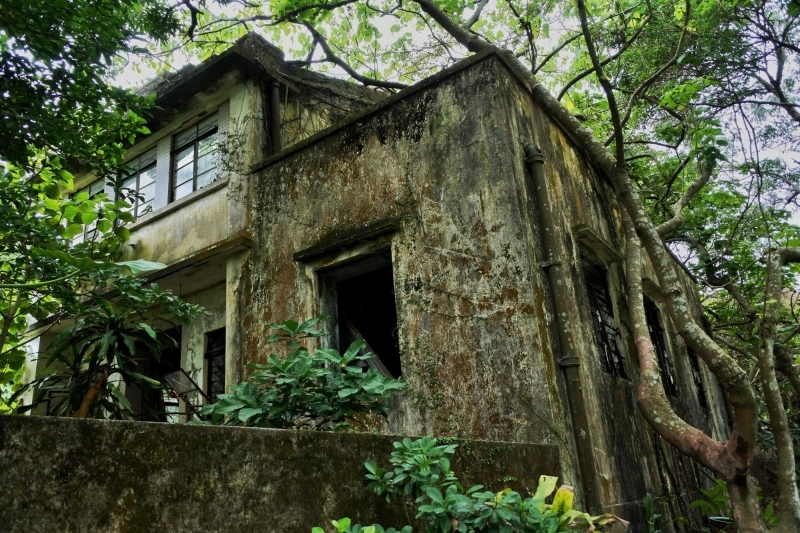 While on this island, visitors can explore the series of abandoned houses once occupied by the villagers. If you are brave enough, step inside these homes and witness just how these people lived based on the furniture and appliances left behind. Yim Tin Tsai promises a time of thrill and discovery, as you roam around and uncover the remains of this island. Located at the northwestern part of Hong Kong, Grass Island truly lives up to its name as a nature-friendly place with luxuriant green meadows. For tourists who desire a getaway from the hectic city life, this island makes for a great choice. Grass Island is filled with flora and fauna, where you can spot hundreds of species of butterflies and birds that are locally rare. Soak in the scenic sights as you listen to the therapeutic sound of waves crashing against the rocks. If you can’t get enough of Green Island, why not stay overnight? This place is also a popular place among locals for camping trips! A bonus for animal lovers, Green Island is populated with wild cattle that are friendly and welcome interaction! Get ready for a day of exercise and perspiration as you enjoy your day at Po Toi Island! This island has been dubbed the ‘North Pole’ of Hong Kong and rests in the southern boundary of the country. What’s popular about Po Toi island is the amazing granitic landscape it promises. Although you would need to hike for a couple of hours before reaching the summit of the island, you will be greeted with a jaw-dropping panoramic view. Po Toi island is also the place where you can view Hong Kong’s famous monumental rocks like the Buddha Hand Rock and the Coffin Rock. You can also find mysterious rock carvings dating back to the Bronze Age! As the only island in Hong Kong made up of sedimentary rocks, Tung Ping Chau is certainly a beautiful island not to be missed. Located at the northeastern corner of Hong Kong, this island is, in fact, closer to mainland China than Hong Kong. Apart from the many historical temples worth visiting, Tung Ping Chau is best known for the fascinating rock formations like Lan Kwo Shui and Kang Lau Shek. On top of that, this island has picturesque beaches with its fine white sand and extremely clear blue waters. Time to have some fun at this island’s beaches and snap Instagram-worthy photos for all your friends to see! Do note that the ferry to Tung Ping Chau only operates on weekends and public holidays so be sure to plan your itinerary carefully. 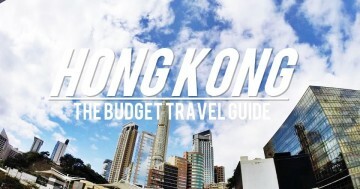 For those planning your upcoming holiday to Hong Kong, don’t forget to add one of these lovely islands to your itinerary! You will certainly not regret it. Check out Hans' journey in the Happiest Place on Earth at Hong Kong.